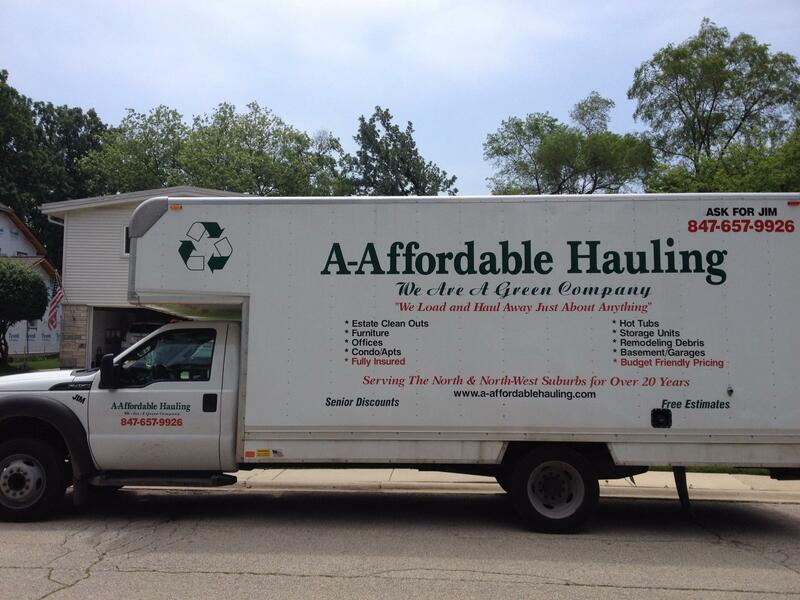 Proudly serving Glenview, Northbrook and surrounding areas of IL, A-Affordable Hauling is a full-service junk removal company specializing in all aspects of estate clear outs. We are proud to offer competitive pricing, and we’re even more proud of the quality of our work. Our personnel are hand-picked for integrity, courtesy and competence to ensure the highest standard of service and quality results. We are experienced in estate clean outs of all sizes, from 5,000 to 100,000 square feet. We can give you the comfort to rest assure that the task of cleaning up and clean out will get done quickly and to your complete satisfaction.